LEAVE ME ALONE, she thinks. Rosie did not have an easy childhood, which has made her build a hard shell around herself so no one can get in. Luckily, her new mum knows just how to help soften Rosie’s hard exterior. The target audience for this book appears to be for foster or adoptive families. The book also appears to be written for kids ages 3- 10 but you might possibly get away with ready to children all the way up to 13 depending on their emotional age. The illustrations in this book are adequate for communicating the concepts and ideas. They are not as high quality as other illustrated books we have reviewed but they do get the job done. This story centers on a character who is a little adoptive girl living her in adoptive home. Rosie does not seem to trust adult due to her traumatic past and also seems to have trouble attaching to other people. The story does well presenting a child that is frustrated with adults trying to care for them. 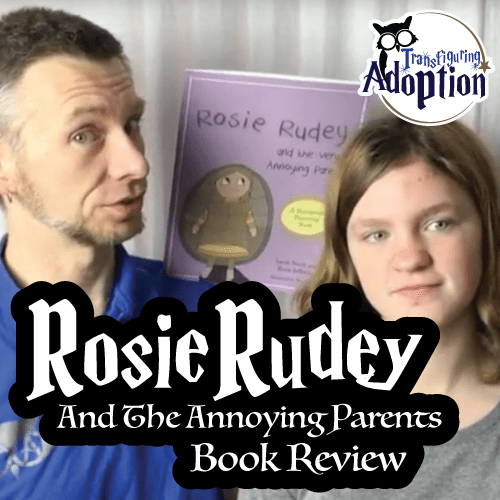 Children from traumatic pasts will be able to identify with the actions and speech of Rosie as she is defiant and cross with her adoptive mom and dad. The book has a short and informative section for adults in the back which educates caregivers on the issues in the book and presents practical solutions for attaching the issues. Transfiguring Adoption feels that this book would be a powerful tool in any foster or adoptive family’s nurturing toolbox. It will open up the lines of communication between you and your child and promote a healthy dialogue in your family. Why did Rosie want to run away? 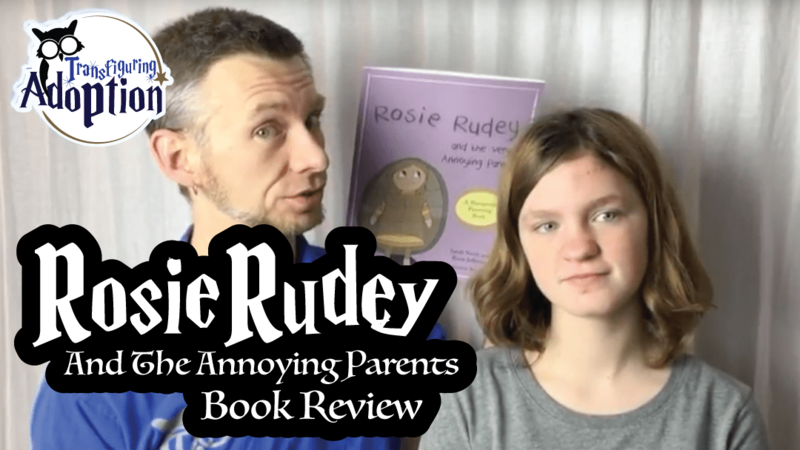 Why do you think Rosie gets mad at her mum for trying to help her? Why did Rosie stay on the porch instead of going in the house? Do you ever make grumpy faces with your parent(s)? Do you get mad when your parent(s) try to help you? Why? Do your parent(s) love you? How do you know? How did the mom show Rosie she loved her? How can you show your parent(s) you love them?